To understand opioid addiction, we must first define what it is. An addiction can include both substances and activities, can lead to substantial harm, repeated involvement with the substance regardless to harm, and continues because it’s pleasurable. Opioids are drugs made from the opium poppy plant or man-made drugs that have similar effects. Some of these include oxycodone, tramadol, and even heroin. Fentanyl is a synthetic opioid prescribed to cancer patients who are tolerant to other pain medicine. Opiates work by reducing the perception of pain by binding to opioid receptors in the brain. In addition to these effects, many people often experience feelings of euphoria and sedation or sleepiness. Some people may be at a higher risk than others for opioid addiction. If you have current or previous addictions, including those to cigarettes and alcohol, your risk may be elevated. Psychiatric illness and previous trauma can play a role in addiction, as well as being a woman. According to the CDC, a woman goes to the ER every 3 minutes for abusing opioids. Having someone in your family with addictions also raises your chances of developing some sort of substance abuse issue, as this problem has been shown to be genetic. Another issue with pain medication that even without developing an addiction to it, a physical dependency is still possible. When suddenly stopping opioid medications, you can experience vomiting, nausea, and diarrhea. Doctors are in the unique position to be able to identify opioid addiction or substance abuse issues through regular contact with their patients. This can be done by using screening tools that take a look at the non-medical use of prescription drugs during regular office visits. A doctor may want to reconsider jumping to prescribe opioids by looking into less addictive options and medications that are non-narcotic. Sometimes, less is more and a lower dose or more mild pain treatment can be successfully used. If the mild treatment doesn’t work, a doctor can re-evaluate and go to the next highest treatment available. As a patient, you have a responsibility to yourself and to your doctor to take your medication appropriately and as prescribed. Always ask your doctor for either a non-narcotic medication or the mildest form of treatment. In addition, take your prescription as directed and don’t mix anything with alcohol. Be honest with your doctor about what other medications you take as well as your alcohol consumption. Inquire about any possible drug interactions with your pharmacist or doctor. Don’t change your dosage or abruptly stop it without permission and supervision from your provider, and never give your prescription away or take someone else’s as it is meant for the person prescribed and illegal to do so. Pharmacists can team with doctors in preventing opioid abuse, misuse, and addiction. A primary purpose of a pharmacist is ensuring patients know how to properly take their medication and watch for falsified documents. They can also phone other pharmacies to alert them of fraudulent behavior. Prescription Drug Monitoring Programs (PDMPs) are state-run databases used to track the dispensing of controlled substances like opiates. Pharmacists can ensure they use these tools for identifying misuse of prescriptions. Chronic pain is the number one reason for the use of opioids, seeking care, disability, and driver of healthcare costs according to the Institute of Medicine and the National Pain Strategy. Preventing chronic pain may be the key to reducing opioid dependence and addiction. Pain in the back, face, neck, and head may have begun with an injury but persist due to your lifestyle, poor posture, stress, or other things. Non-steroidal anti-inflammatory drugs are opiate alternatives that have been proven effective in treating many injuries. Anti-seizure medication (like Lyrica) and anti-depressants (think Cymbalta) have been shown to help reduce chronic pain without the nasty side effects that can come from opiates. Going medication free may be an option over time as well, with the use of yoga, meditation, and chiropractic care. Recreational usage of opiates leading to opioid addiction can have A LOT of unpleasant side effects. Some are mild, some are major. And the best tool for prevention is knowledge. Some downfalls to opiate misuse can include constipation, nausea, liver damage, brain damage, and respiratory depression. Not too bad, right? Except… it does get worse with long-term use. If you find yourself with an opioid addiction, you may resort to heroin, which is often used by injection. Unless you buy new needles, you cannot guarantee that you are not spreading Hepatitis C or HIV. Respiratory depression was mentioned earlier. Slower breathing, right? Too slow and you die. HIV, if left untreated can also kill you. So, long story short, DEATH is a side effect of recreational use or misuse of opiate drugs. Though you might not be responsible for the chemicals that are involved in manufacturing medicine, you can certainly advocate for research on safer alternatives to opioid drugs and development of non-addictive medications. Opioid addiction is nothing to be ashamed about, as most start with the intention of taking a prescription to get better and aid in pain management. These drugs are very addictive and taking them should be done correctly. If you find yourself in the grasp of addiction or in needing information about this epidemic, please reach out. There are many resources available to you. Talk to family and friends about this topic, you never know who may be suffering. Addiction knows no bounds, no race, no creed or religion. Everyone can be affected by this ailment. If you need more resources on opioid addiction, give us a call at (855)976-2092 to speak to someone directly about your situation or click here. 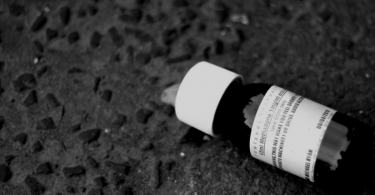 Evidence-Based Practice – Should You Treat Your Addiction With Methadone?